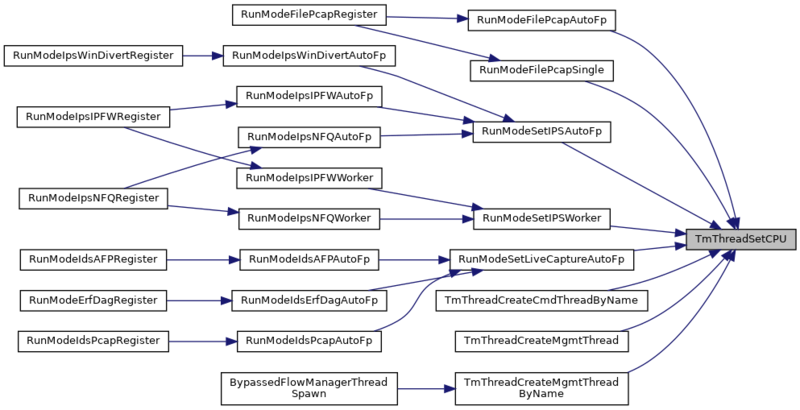 Definition at line 2345 of file tm-threads.c. Definition at line 1751 of file tm-threads.c. 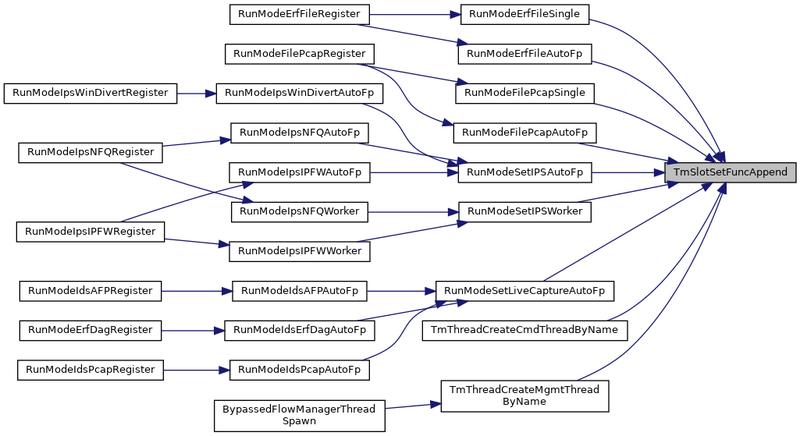 Definition at line 1750 of file tm-threads.c. 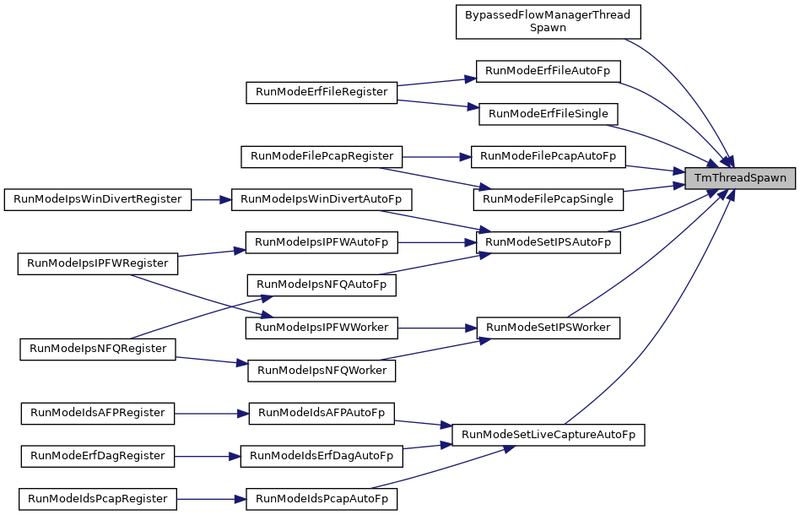 Definition at line 2250 of file tm-threads.c. 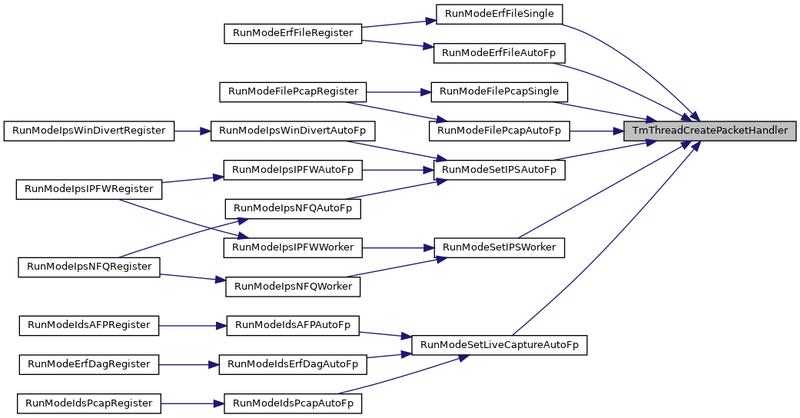 Definition at line 1116 of file tm-threads.c. 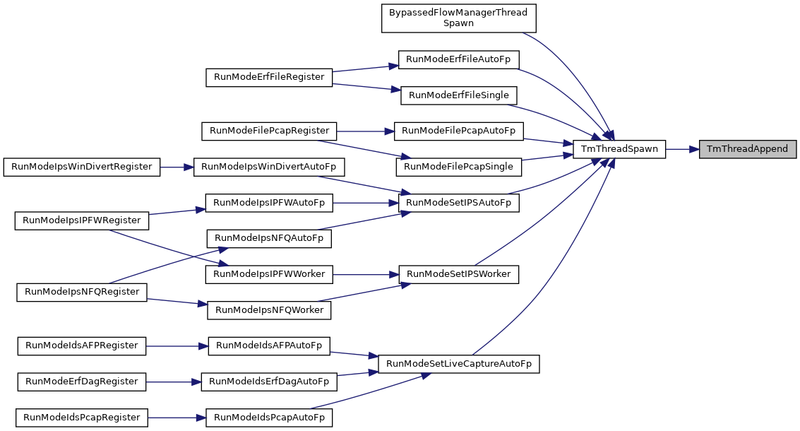 References Tmqh_::InHandler, ThreadVars_::inq, Tmqh_::InShutdownHandler, ThreadVars_::InShutdownHandler, StatsPublicThreadContext_::m, Tmqh_::name, ThreadVars_::name, ThreadVars_::outctx, Tmqh_::OutHandler, Tmqh_::OutHandlerCtxSetup, ThreadVars_::outq, ThreadVars_::outqh_name, ThreadVars_::perf_public_ctx, Tmq_::reader_cnt, SC_ATOMIC_INIT, SC_ERR_THREAD_CREATE, SCFree, SCLogDebug, SCLogError, SCMalloc, SCMutexInit, strlcpy(), THV_PAUSE, THV_USE, TM_ECODE_OK, TmqCreateQueue(), TmqGetQueueByName(), ThreadVars_::tmqh_in, ThreadVars_::tmqh_out, TmqhGetQueueHandlerByName(), TmThreadInitMC(), TmThreadsSetFlag(), unlikely, and Tmq_::writer_cnt. 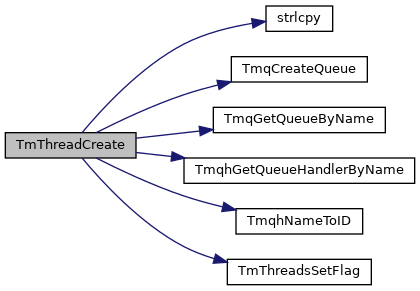 Referenced by NapatechStartStats(), TmThreadCreateCmdThreadByName(), TmThreadCreateMgmtThread(), TmThreadCreateMgmtThreadByName(), and TmThreadCreatePacketHandler().